Today was Day #5 of Chocolate and Coffee Theme Week. Leaves may be turning red, and kids may be back in school, but we're a long way from brisk fall weather. It was another hot day this morning. 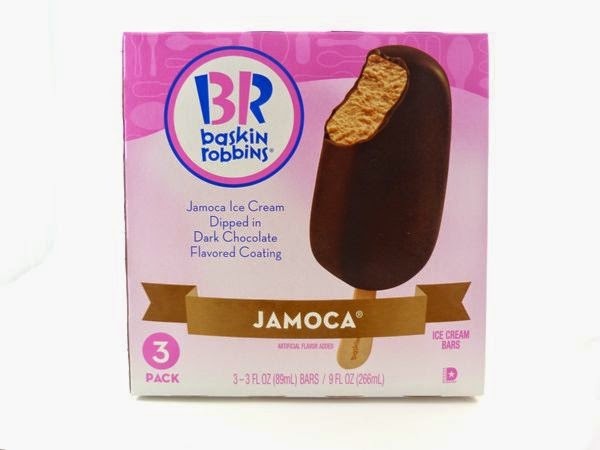 So, I reached into the freezer and chose a Jamoca ice cream bar -- made with "Jamoca Ice Cream Dipped in Dark Chocolate Flavored Coating" -- from Baskin-Robbins (Canton, MA). 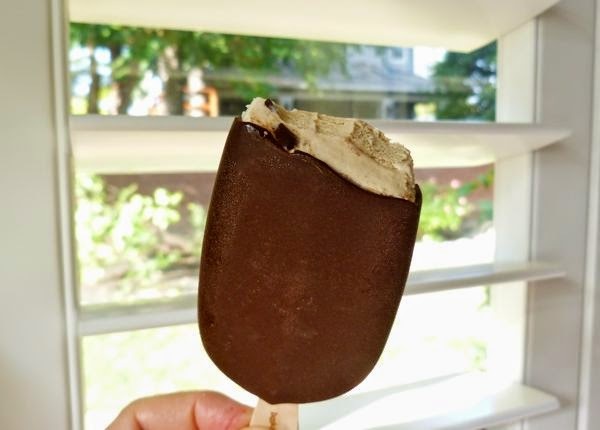 It was like having a frozen latte with a little dark chocolate flavor whirled in for good measure -- a sweet, cool combination for very warm weather. Baskin-Robbins, a large national ice cream store chain, is part of the Dunkin' Brands Group, Inc. 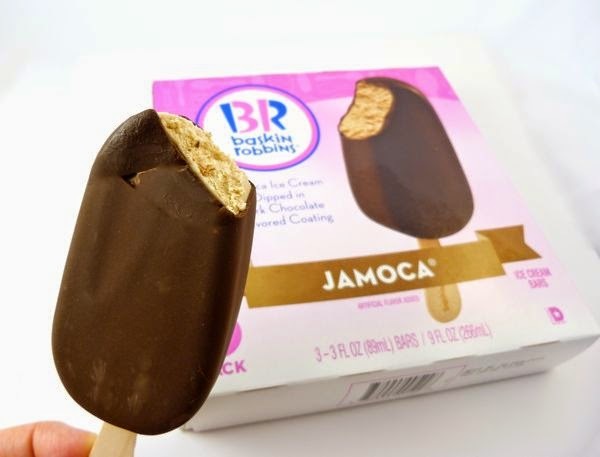 The ice cream-centered company has continued to bring out new flavors and products, even as the local ice cream shops maintain a timeless quality imbued with childhood memories for many of us. I may be less thrilled with the festively neon colors and the ice cream cakes than I once was; but I still enjoy seeing the bright pink, white and navy blue Baskin-Robbins logo when I pass by my local store(s).